CineBrass PRO - это расширение популярной библиотеки CineBrass Core. CineBrass PRO - это совершенно отдельная и уникальная библиотека, состоящая из совершенно новых сэмплов оркестровых духовых инструментов, в котором участвуют первоклассные музыканты из Лос-Анджелеса, включая Dennis Sands. Наша библиотека CineBrass CORE, выпущенная в июне 2011 года, охватывает основы оркестрового духового оркестра и служит прочной основой в наших шаблонах. Но как насчет других вещей, которые может делать медь? Мы спросили сообщество кинематографистов, что бы вы хотели увидеть в дополнении. Результатом является CineBrass PRO. Once again we’ve reunited the heralded team of LA’s finest crew and musicians to bring you something truly remarkable. At the heart of this expansion are the finest collection of brass soloists ever sampled. Hollywood’s current first chairs recorded in the unequaled space of Sony’s MGM Scoring Stage by famed engineer Dennis Sands. This quartet of soloists (trumpet, Horn in F, trombone and tuba) received full treatment including true legato, shorts and multiple dynamic layers. You will immediately be startled by the sheer power, expressiveness and clarity produced by these master virtuosos. Under the direction of esteemed composer/violinist Michael Levine came a set of perfectly cinematic FX designed for practical realization in your sequencer. In the vein of the ever popular cineorch comes a complete palette of chords voiced by the different brass choirs culminating in a super-sized “low brass chords” sure to garner some attention. Fulfilling a common request we also captured a variety of stops and mutes for all ensembles. The features don’t end here as this expansion features twice the content of the original library. CineBrass PRO v1.7 has been rebuilt from the ground up to include the Cinesamples Adaptive Legato Engine featured in CineStrings SOLO, CineStrings CORE, and CineWinds CORE and PRO. It allows you to tailor the legato response to your own playing style, and is designed to respond musically to your performance. The engine detects your playing speed and intelligently adjusts the interval speed to match. This means you can play slow, expressive lines and fast runs in a single performance, without touching the speed dial. Additionally, the intensity parameter responds to velocity. CineBrass PRO includes a brand new mapping area that allows for greater flexibility in customizing composer workflows. The new mapping system allows for articulations to be blended together, using polyphonic keyswitching or overlapping velocity/CC ranges. This allows for even more flexibility for tailoring CineBrass PRO to your individual needs. 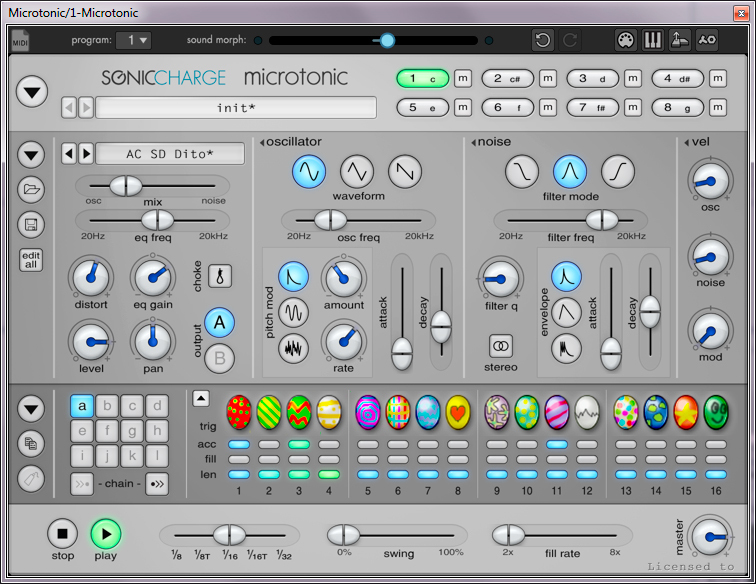 You may add articulations using the + Add Articulation + button and subtract articulations using the X on the right. The ACCENTED LEGATO control layers an additional articulation (Marcato, Staccato, Spiccato) over legato transitions.